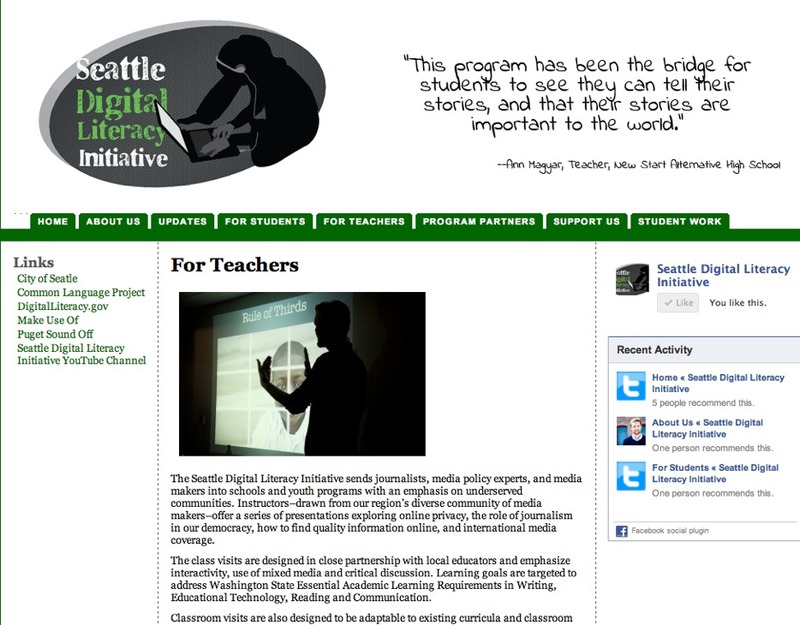 The Seattle Digital Literacy Initiative is dedicated to educating Seattle youth about digital literacy with a focus on under served youth. Instructors from the organization make classroom visits where they give presentations “exploring online privacy, the role of journalism in democracy, how to find quality information on online, and international media converage.” They also offer teacher training, and an opportunity for youth to continue their media learning during their Summer Institute. The website features an odd looking logo of a person wearing headphones working on a computer, it almost appears that the person in the image has three arms. There is a table of contents bar running across the top of the page, and a links section running down the left side. There are two videos on the main page, and social media options to the right. The About us section doesn’t tell about the SDLI as an organization at all, rather features biographies of the staff. The For Teachers tab gives information that may be better placed in the About Us area. 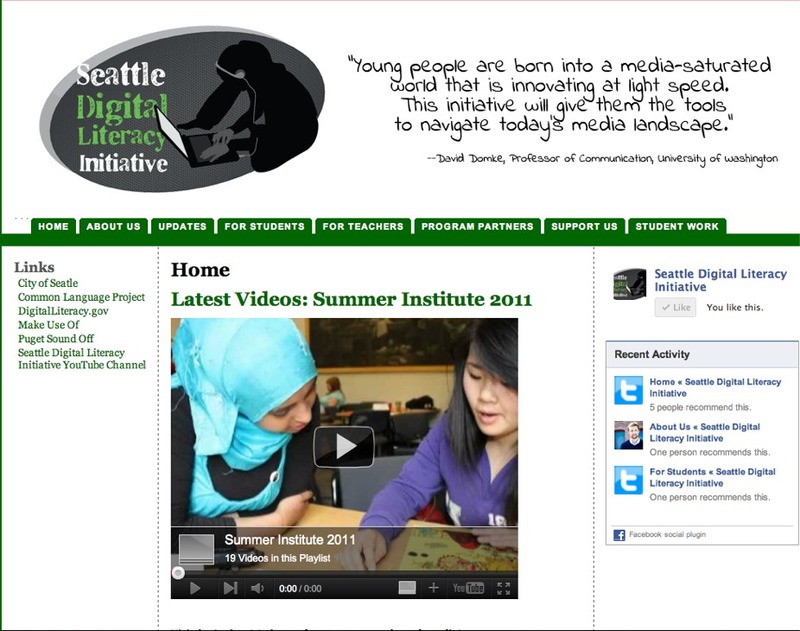 Youth, Teachers, those interested in Digital Media, those interested in youth enrichment, and Digital Media Specialists . The website is meant to educate about the SDLI giving the non profit more opportunities to present and educate youth and teachers. 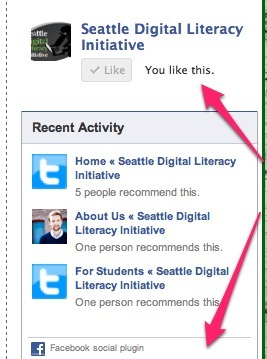 There is a facebook “Like” option with the SDLI avatar featured on the page, and the small “like” button underneath. The facebook logo is separate from the like option, and hard to see. There are several opportunities to interact with SDLI on twitter. The website is powered by WordPress – “Theme by BytesForAll Web Hosting & Design”.